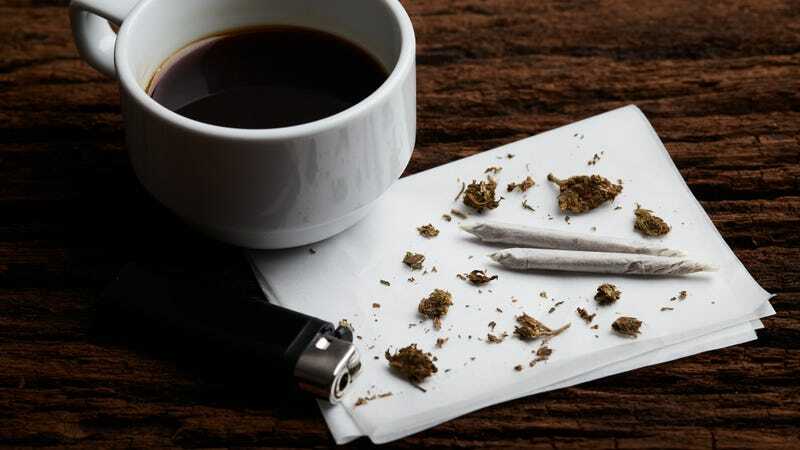 Ingesting large amounts of caffeinated coffee has profound effects on many biological systems, a new study finds, such as reducing levels of metabolites associated with the endocannabinoid system. Researchers say the reduction is the reverse of what happens when your body is exposed to marijuana. Cannabinoids are what give cannabis its properties that affect the human body and mind, however, our bodies also naturally create endocannabinoids, which mimic cannabinoid activity. The study, published in the Journal of Internal Medicine, found that high doses of coffee may affect metabolism even more profoundly than previously thought, perhaps by impacting the endocannabinoid system. In the study conducted on 47 Finnish coffee drinkers, participants were told not to drink coffee for a month, then they were upgraded to four cups a day for a month and a terrifying eight cups a day the next month. Scientists then tested their bodies for hundreds of metabolite levels. The study’s authors caution that the results ask more questions than they answer, and will hopefully provide a basis for further exploration of coffee’s link to metabolism and health. So for now, we don’t know that an extra two cups of coffee is the same as 40 minutes on the elliptical.